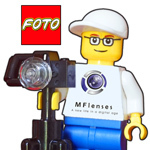 Posted: Tue Mar 26, 2019 4:13 pm Post subject: Leica LM the new universal fit? My wife and I use 3 mirrorless systems between us, all needing different adapters. I have several Sony E adapters but the first one I bought for my wife's MFT and Nikon 1 was the M39, as we prefer to use my Leica fit lenses. Then I recently purchased the 35mm f2 7artisans lens for my M3 and an adapter for the Sony. While looking for the adapter I noticed that you can now buy adapters for anything to LM. will fit all cameras. Jobs a good un. Another thing too, I can use my 18mm M42, 21mm MD and 24mm FD lenses on the M3 now. Pretty much yes, thanks to the Techart AF adapter. Focal reducers also create a demand, which explains some pretty obscure adapters like Nikon-to-FD. This can work well yes. With very fast lenses and certain telephoto and macro setups you may get some vignetting because of the fairly narrow mount diameter though.